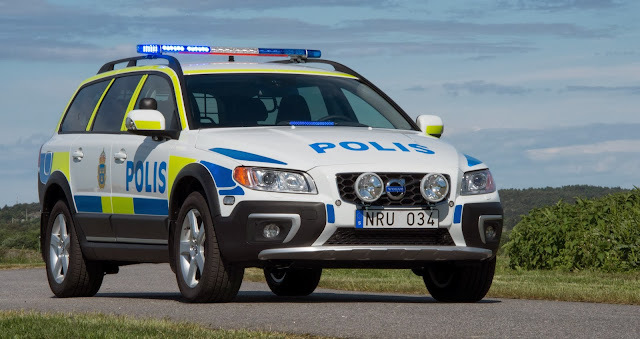 If you do anything naughty in Sweden and happen to get your collar felt by the rozzers there's a 90% chance they'll turn up in a Volvo. Volvo makes between 500 and 600 police cars a year, and the vast majority are sold in Sweden, but the company has global ambitions. 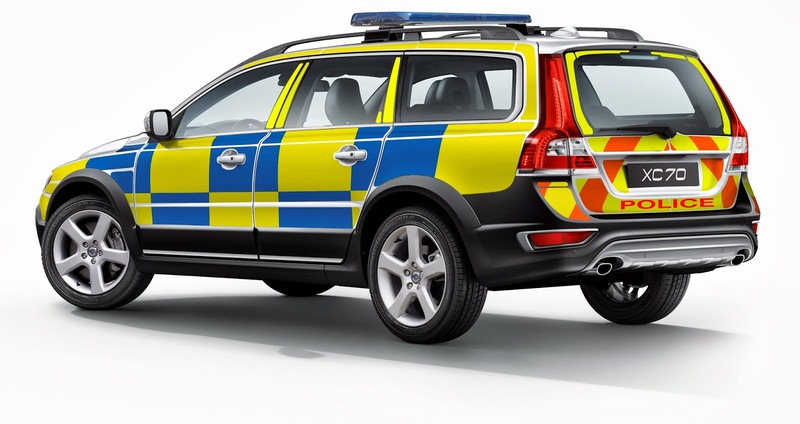 The car that Volvo wants police forces around the world to buy is the 2014 XC70 D5 AWD. But not just any old XC70 with a radio fitted, this car has a bespoke cop chassis with upgraded anti-roll bars, shock absorbers and springs. 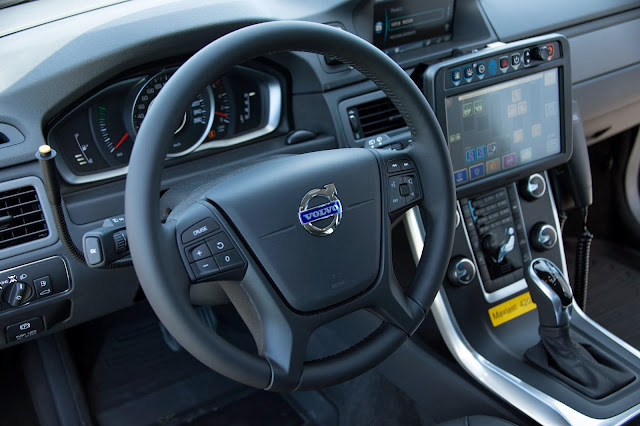 It takes 45 hours to create an XC70 police car from the base car. 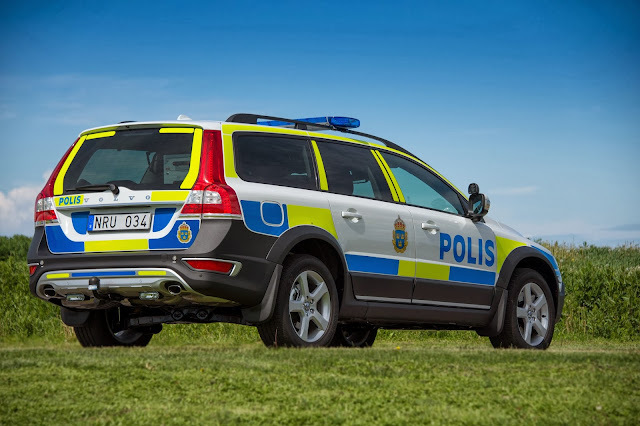 A recent test by the National Police Board in Sweden gave the XC70 nine out of ten overall, making it the highest rated car of the Swedish police uses (out of six manufacturers). Components of the test included emergency driving, noise, comfort, stability, elk and braking tests and evasive manoeuvres. The 2014 XC70 cop car has started rolling off Volvo's production lines in Torslanda. Expect to see more Volvo police cars on the UK's roads over the coming years.